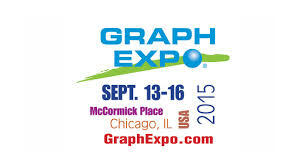 This past week, I attended Graph Expo (http://www.graphexpo.com/) in Chicago at McCormick Place. If you don’t know, Graph Expo is the leading trade show for the Digital, Inkjet, Offset, Flexo, Gravure and Hybrid technologies for the Commercial, Converting and Package Printing, Publishing, Mailing, Photo Imaging, Marketing and Industrial Printing industries. 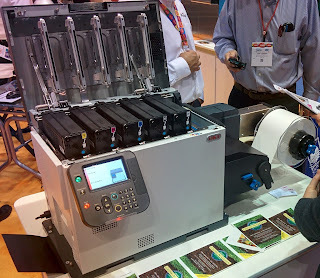 As the label business accounts for only a minor portion of the printing business, I did not see a lot of exhibitors featuring print on-demand color. However, I did see two technologies that I would like to share with each of you; and get your feedback on the potential fit in your business. First, do you purchase printed corrugated boxes? If so, do you purchase a large number of different types and sizes of printed boxes? If you answer yes, we may have a great, new solution: Print on-demand color corrugated; the Excelagraphix 4200 digital package printer. 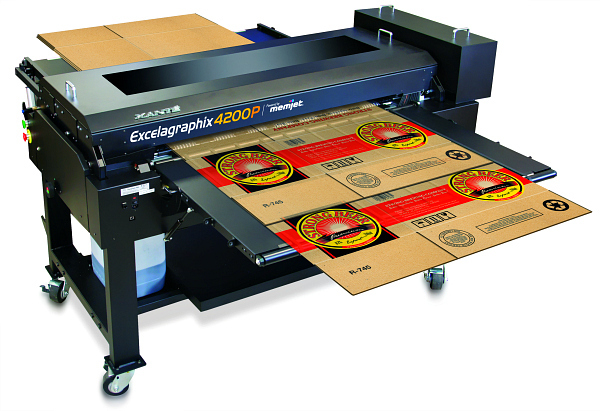 The Excelagraphix 4200 prints folded and glued boxes up to 5/8” thick at a rate of over 400 per hour using technology from Memjet. The printer can use boxes from 18” up to 42” wide and from 12” up to 8’ long. In addition, you can print on both sides of the corrugated offering great promotion ideas to turn your boxes into powerful marketing tools. More interesting to me is that the printer includes technology to process your artwork making it easy to print; and reprint boxes. Further, the on-board computer makes it easy to monitor and maintain the health of the printer as well as provide job costing analysis. 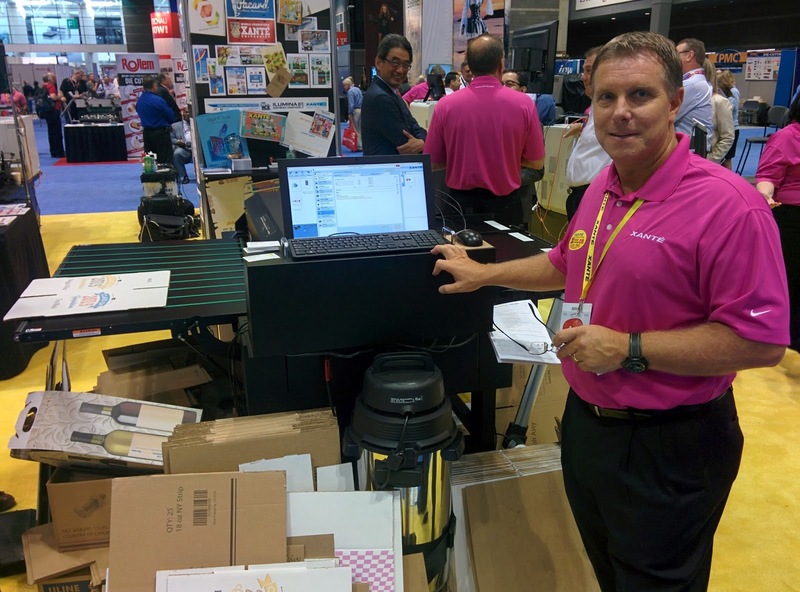 Overall, I believe print on-demand color corrugated printing is a great solution. One potential watchout from this technology; the price seems high at $110,000. If you assume the printer lasts 5 years, runs 240 days/year and 8 hours/day at ½ the estimated top speed of 416/hour, the fixed cost of the printer equals $0.055/carton. At this time, I don’t have a good idea of the ink, maintenance or operator costs to provide an overall cost estimate. However, I don’t believe the ink and maintenance costs would add a significant higher cost/box. Bottom line; you probably can get boxes printed in color and on-demand for approximately $0.10. But for $0.10, you can print one at a time with no minimum orders. This tradeoff seems of great value. In addition to the price, print durability could be a second issue. The dye-based inks of the Memjet printer are notorious for their lack of durability. However, most companies understand the importance of keeping corrugated dry. If you plan to keep corrugated dry, then the Memjet ink should work in this application. Also, the Memjet printheads have over 70,000 nozzles. With 5 printheads per machine, the Excelagraphix 4200 has over 350,000 nozzles that could be plugged because of dust coming from the corrugated. This dust may slow down your print speeds and increase your maintenance costs. But I do believe Xante has found a way to minimize this potential issue. Overall, I’m excited about the potential of printing corrugated boxes on demand. If you use a large number of printed boxes in your operation, contact me to discuss how the Excelagrphix 4200 could fit your business. This laser-based solution offers white toner, which could fit companies wanting to highlight colors by first adding white to the label; or adding increasing color “depth” or gamut by adding white toner. I’m curious about the potential interest of adding white to basic white labels. Also, I learned this label printer reduces the amount of label lost compared to other laser printer options. As all laser printers use a fuser to “fuse” the toner to the media, labels must travel the length of the printer to complete the process. This length of media becomes wasted material on the next print job. Okidata has stated they have reduced the amount of this wasted material. If you could use white color on your labels, please let me know. Overall, Graph Expo was not too exciting for the label market. But I did find these two innovations of interest. I appreciate your feedback on how these innovations would fit your business.